Custom Shop Guitars - Hand-crafted instruments from Fender, Gibson & more at Andertons Music Co.
Andertons Music Co. has the privilege of stocking some of the world's finest hand-crafted instruments, including Custom Shop guitars from the likes of Fender & Gibson. Buying a new instrument is an inspiring and enjoyable experience. However, a high-end Custom Shop guitar may be a once-in-a-lifetime purchase, and we believe that we are one of the best stores in the world to offer such instruments. 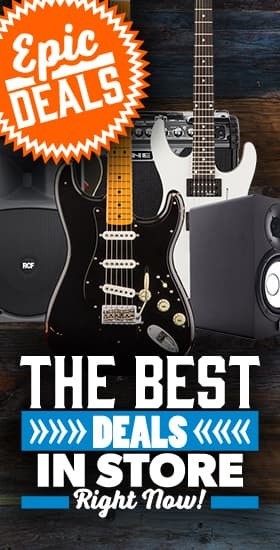 Stocking a vast amount of models from the guitar industry's leading giants Fender and Gibson, we also carry instruments from boutique brands such as Gray Guitars and Hansen. Browse our enviable selection of Custom Shop guitars below, all available with free UK delivery and up to 36 months 0% finance on selected products.